Rev. 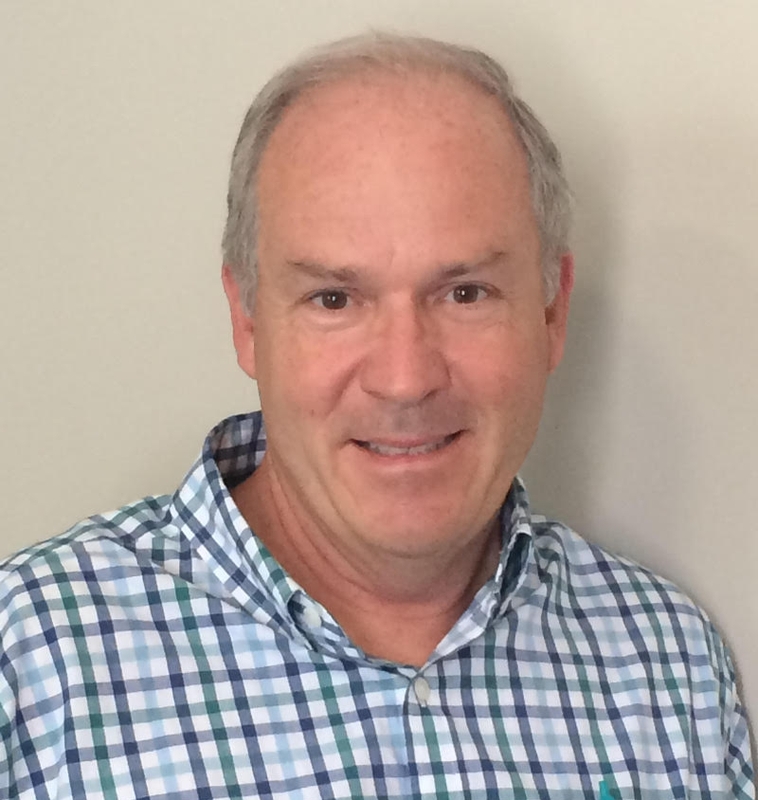 Ross Varney was born in Walpole, Massachusetts, one of four children in a household of educators, and loves to keep learning and evolving in this wonderful world. He was valedictorian for his high school, then was Phi Beta Kappa at Williams College as a pre-med with a degree in Chemistry. Discovering that science and medicine was not his principal passion, he decided to teach for awhile, teaching Spanish at a private schools in Massachusetts and Maryland. His deeper passion then emerged as a calling to a life of prayer and ministry, and he received a Master's degree at Princeton Theological Seminary with a concentration in pastoral care and counseling. Rev. 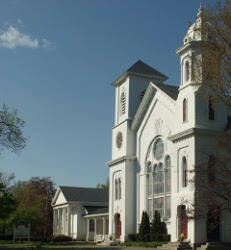 Varney began his ministry with facilitating the merger of the two UCC churches in Kingston and Brentwood, NH. He served as pastor there from 1988 to 1995, active in the D.A.D. program for drug abuse prevention. He then served as Associate Pastor of the First Baptist Church of Needham, with an emphasis on youth and music ministries, leading a large Vacation Bible School every summer. At Belleville since fall of 2001, Rev. Varney seeks to lead with his strengths while encouraging the gifts of all the congregation. So his sermons are sometimes highlighted with songs, including some original compositions from two CDs made during his ministry here. He often includes interfaith elements in his ministry and messages, believing that God's love and grace are very inclusive! Bible Studies with Rev. Varney encourage lively conversation, including diverse viewpoints. Rev. 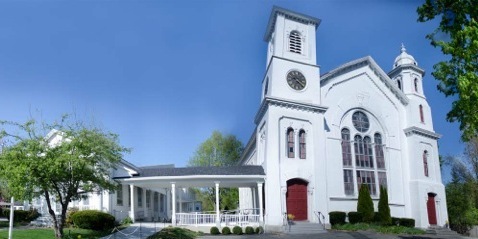 Varney is also active in the Newburyport Clergy Association as well as the Essex/Andover Association of the United Church of Christ. He has shared music leadership at regional and state conferences. He shares his home with his wife Lynn who is a Spiritual Director with certification in Christian Education. Tucker, a loveable old grump, barks at people way across the street, while Earl who is blind, can still lead the way to his kitty bowl... both of them are very "grounding"! 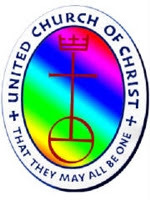 To read the latest pastor ponderings by Rev. Varney, please visit the News & Views page; to hear Rev. Varney's sermons, please visit the Sermons page. Valerie Gates is the first person you are likely to meet if you come to the church office, Tuesday, Thursday, and Friday mornings. She came to Belleville after many years in the business world, with many skills in administration and finance. She also has a broad range of experience in church leadership, so she keeps the wheels well oiled at Belleville! She is married to Chris Gates, and if you really want to see her light up, ask her about her grandson Chase, whom she looks after many afternoons! Andrea DeGiovanni was born in the Czech Republic and immigrated to the United States with her family at the age of 13. She graduated top of her class from West Roxbury High School and received a full scholarship to study at Boston University. Andrea graduated from the BU College of Arts with a degree in organ performance. She studied organ with Robert Newman and Max Miller. Upon graduation from BU, Andrea toured Europe visiting many churches and cathedrals to hear as many pipe organs as she could. 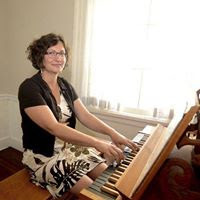 This trip and her studies have sparked interest in organ building, which brought her to the employ of the Noack Organ Company in Georgetown, Massachusetts in 1993. 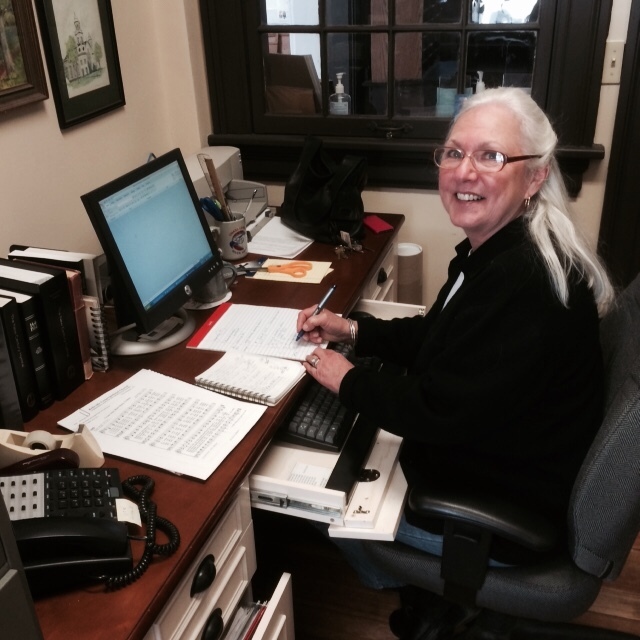 During her career as organ builder and business manager, she earned a MBA at Salem State College. NOVEMBER 15, 2014: "Finding a Spiritual Home"
At times in our lives, we wonder where "home" really is, and as holiday planning begins, the question arises in many hearts. I wrote a song for my mother shortly after we lost my Dad that plaintively asks "When nowhere feels like home, where am I to go?" The song remembers their beautiful love story, saying "Home was in your arms, we knew it from the start!" For my Mom, home had little to do with the physical houses we lived in, but was a feeling of comfort and safety and love, especially in the company of my Dad. Theirs was one of those now rare stories of love at first sight which continued for the next 55 years. Now, without him, she experiences a kind of "homelessness," lessened by staying in the homes of her children, yet no love can replace that of her steadfast, adoring spouse. JUNE 7, 2014: "God as Metaphor, Mystery, and Goodness"
I'll be forever grateful to one of my professors of theology who said,"All language about God is metaphorical." It is incredibly freeing to think that we will never figure out or name the rhyme and reason of the universe precisely. Nowhere is this more true than in the "Why do bad things happen" question (if there is a God who is good and powerful) that most everyone asks at some point. It is a comfort to me that Job did not get a clear answer, but he still spoke of experiencing a "redeemer." It is a comfort to me that Jesus did not give a simple explanation for why a man was born blind, but simply pointed to what goodness and healing could come from it. Similarly, Rabbi Harold Kushner does not definitively answer the question "why," but entitles his book "When" bad things happen to good people. In tragedies of innocent suffering, God is usually described as healer, deliverer, or savior, not as one who "sent it." I'm satisfied with the idea that many things happen in the universe with a certain amount of randomness. years ago a beloved friend of mine contracted Lou Gehrig's disease, and to the many who thought she must always be asking "why me," she would respond "why NOT me?" The universe is obviously made with principles of freedom, and freedom also includes viruses and bacteria and other organisms that can cause illness. To her, the best metaphors for God would be words like comforter or compassionate presence. That is how the spirit of goodness or love came to her. MAY 3, 2014: "Evidences of Resurrection Spirit"
After the Holmes Brother's concert at Belleville, one of my colleagues quipped to me: "three old guys who could barely move, play on stage with the energy and enthusiasm of young kids, then have trouble moving off the stage ... talk about resurrection!" ... well., at least for two hours of singing blues and gospel! One could argue that it's just the energy of good music, yet the brothers themselves attribute their zest for life to their faith. One of the brothers told me all about his bouts with cancer and how "Doctor Jesus" helped him heal and thrive. OCTOBER 26, 2013: "And That Was Holy!" I recently spent time with a Quaker leader, Carrie Newcomer, in a sacred songwriting workshop. I know that Quakers speak often about inner light, hence the silence or space at meetings, to allow inner light or revelation. A few of my favorite passages from the Bible point to this idea of the Spirit within. The prophet Jeremiah envisions the time when divine teachings will be "written on people's hearts." Jesus echoes this idea speaking of the time when people will worship "in spirit and in truth" rather than any particular place. Paul says something very similar in his words that the written letter can kill, while "the spirit gives life." In all these, there is a sense of inner leading, which we could call the divine within.